Vegan cheese may sound like a strange concept at first. I mean, what makes it “cheese” if it’s not made using cow’s milk right? I was definitely among the confused (and skeptical) when I first heard the words vegan and cheese in the same sentence. But let me put it this way. My husband who actually hates cheese (I know, weird…) LIKES vegan cheese, and he really enjoyed this vegan cheese sauce. What makes this sauce cheesy? I’m not going to lie to you. It doesn’t exactly taste like melted cheese, so if that’s what you’re after, I apologize. What it does taste like is a mix of sweet, savoury, and smoky deliciousness, in a thick and creamy, oozy, texture. The nutritional yeast gives the sauce its cheesy flavour, but without all the calories and fat that typically accompany cheese. So now you’re wondering, just what exactly is this cheese sauce made of? The answer, just a few simple ingredients! 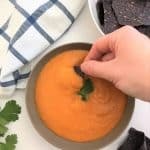 Most vegan cheese sauce recipes that I’ve come across contain some kind of nut, often cashews. Since cashews high in fat (albeit good fat!) 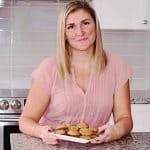 I set out to make a cheesy tasting sauce that is also nut free. Perfect for anyone with allergies, or anyone that is watching their caloric intake. How do you make vegan cheese sauce? Cover the veggies with water in a small pot and cook until tender. Then, transfer the veggies along with half a cup of the reserved cooking water to a blender. Add in all the seasonings, and process until smooth. Add more water if needed to obtain desired consistency. So easy peasy method, and only a few ingredients. What are you waiting for? Need some great ideas on how to use your vegan cheese sauce? How about smothered on some delicious Vegan Nachos or a not so traditional Vegan Poutine? My non Canadian readers are like “huh”? If you’re French from Quebec, that’s pronounced POOT-IN, but most Canadians will call this bowl of deliciousness POOT-EEN. For those who don’t know, a poutine is traditionally made up of french fries, cheese curds, and gravy. Leave it to me to make a healthier and still delicious version. Stay tuned for a poutine recipe coming soon! 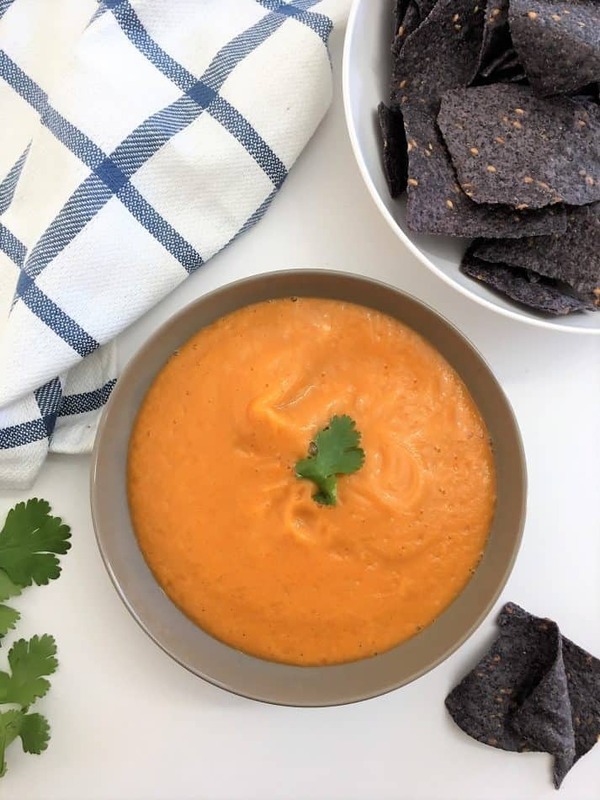 In the meantime, you can enjoy this perfectly dunkable sauce with some tortilla chips! YUM. For more homemade dips and sauces, you may want to check out these! Homemade Tahini – Made in Only 5 Minutes! 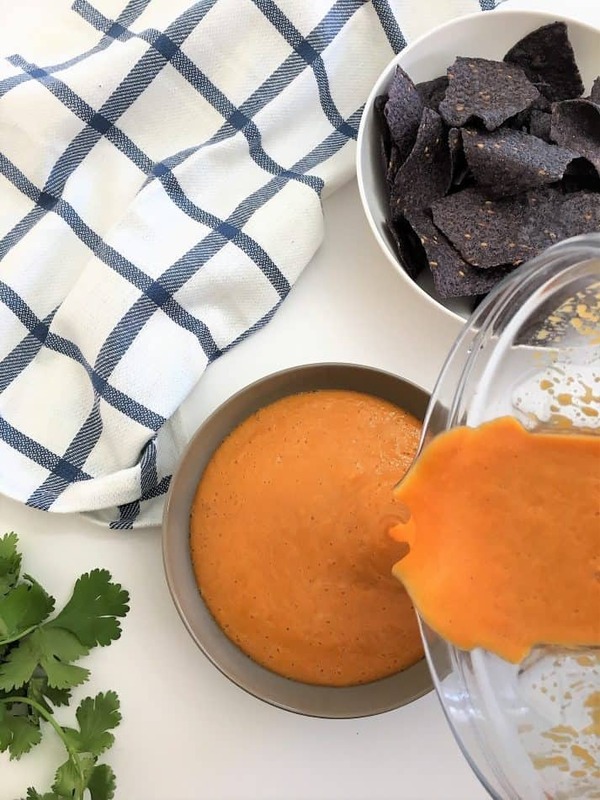 Enjoy this vegan cheese sauce over top your nachos, poutine, or as a dip with chips. It's nut free, oil free, and completely wholesome! 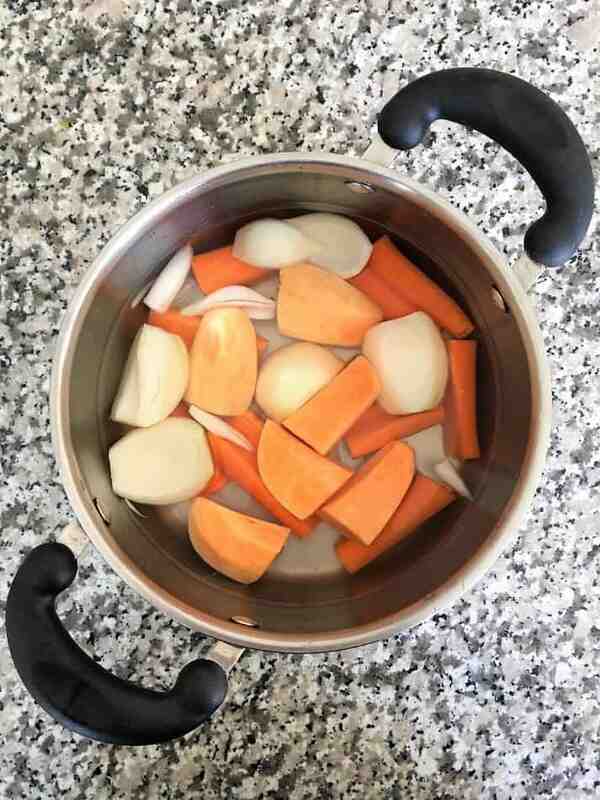 Add the onion, carrots and sweet potato to a small pot and cover with water. Bring to a boil, cooking until fork tender, approx 10 minutes. Drain but reserve the cooking water. 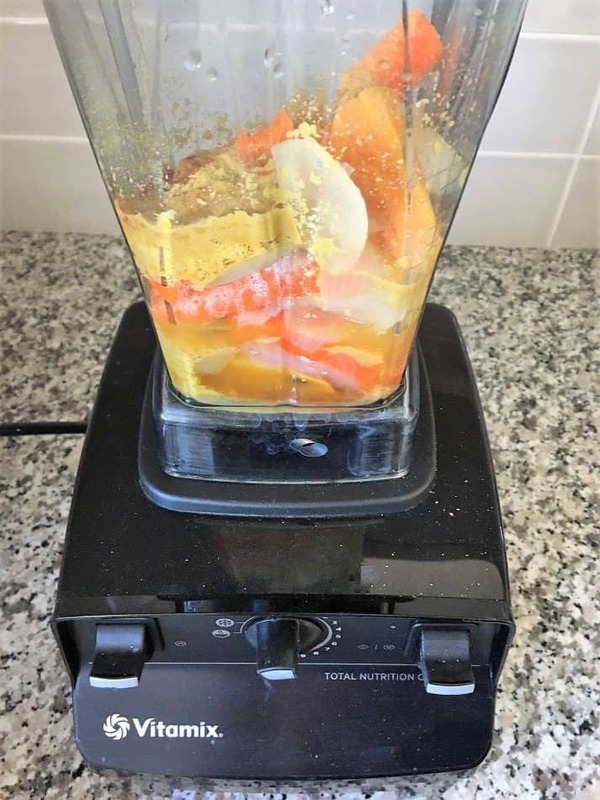 Transfer the cooked vegetables to your blender along with the nutritional yeast and all the seasonings and start with 1/2 cup of the cooking water. Process until smooth adding more water 1-2 tablespoons at a time if needed. Do not add all the water at once, or you may make the sauce to thin. 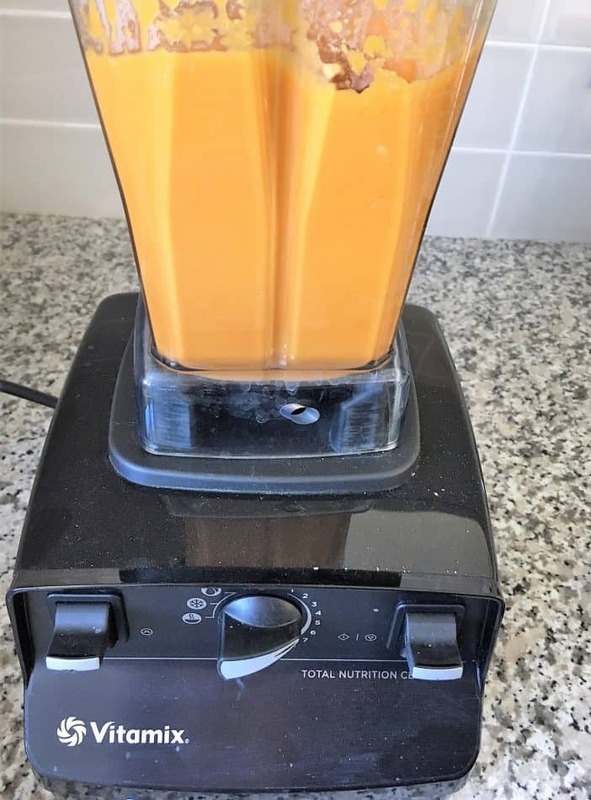 Reserve the water used to cook the vegetables, but do not add all of it to your blender when making your sauce. Start with half a cup and add more if needed until you achieve your desired consistency. This recipe makes approximately 3-4 cups of cheese sauce, depending on the size of your vegetables and how much water you use to thin out your sauce. This recipe sounds more nutritious (with all those veggies) and leaner than cashew cheese dip. Can’t wait to try this! Thanks Nora. Hope you enjoy! Such a delicious sauce and I’m loving that it’s vegan! I love that this is packed with veggies! i am very intrigued by this. i have never tried nutritional yeast, but my mom swears by it. Sound like a great cheese sauce option! Thanks Danielle. Nutritional yeast really adds a ton of flavour! You’ll definitely be party ready with this dip! Can’t wait to try it next time we have friends over. What a great alternative to everyone’s favorite dip. My youngest daughter could eat cheese sauce for dinner and this recipe is a healthier option.